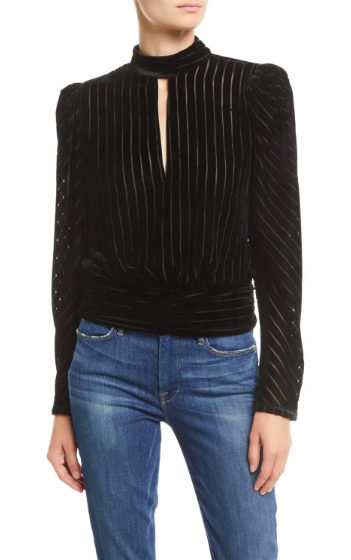 These are the kind of tops that make an outfit; put one of them on and your work is done. 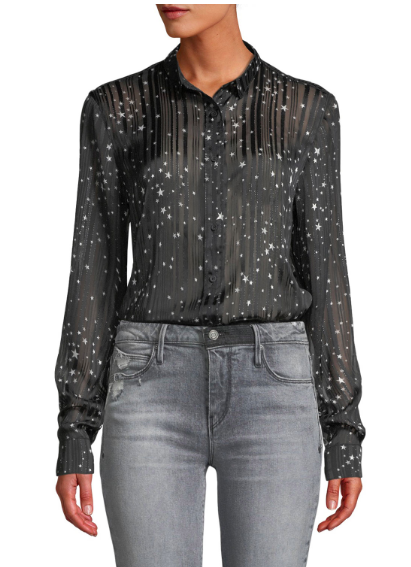 I want this metallic henley top bad; it’s so laid-back-yet-fabulous. 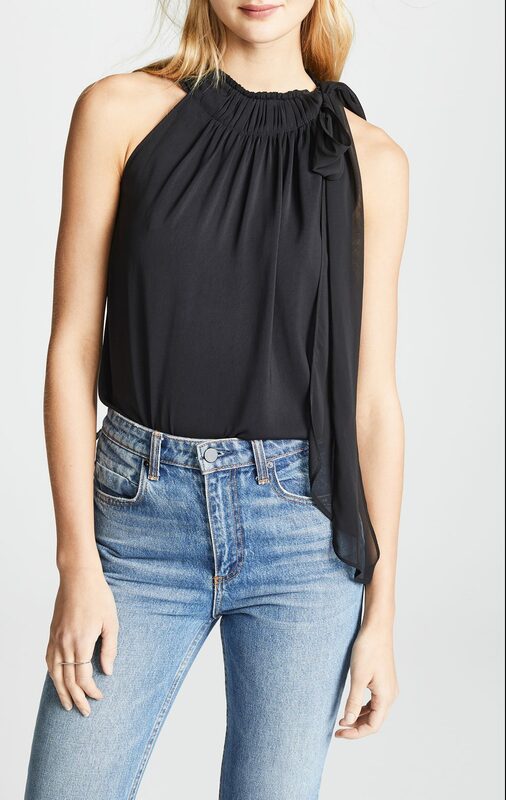 The tie-neck here is rather sweetly feminine, and the silhouette is so shoulder-flattering. 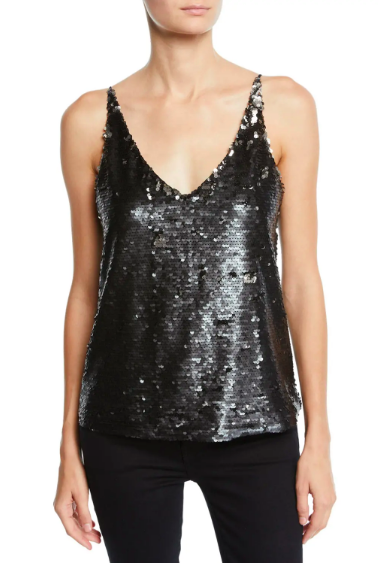 I’d wear this sequin tank with a big old huggy cashmere cardigan to dress it down a bit, or with a blazer to dress it up. And I might wear a cami under this daringly low wrap top. Star on stripes make this one pleasingly graphic. 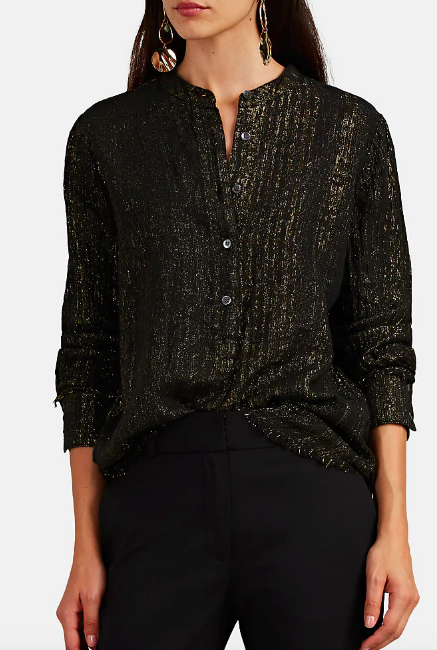 And another top with metallic accents, which I can’t seem to get enough of lately, and all that shirring is pretty cool too. 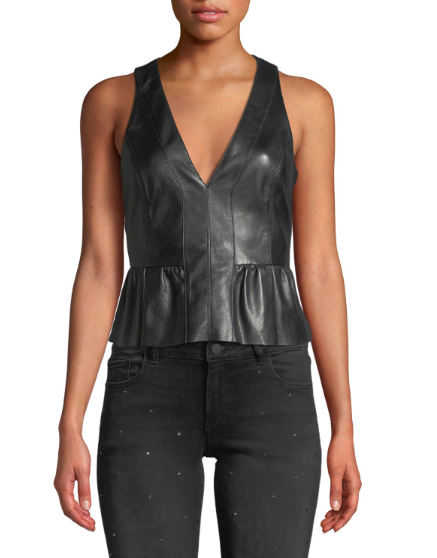 A leather tank is very tough girl, but the peplum gives it a little dose of femininity. A tonal leopard print is nicely sophisticated. I liked this post a lot, but are there some less expensive party tops that you can suggest? Also, I wonder if other folks are still getting the over-sized emails like I am??? 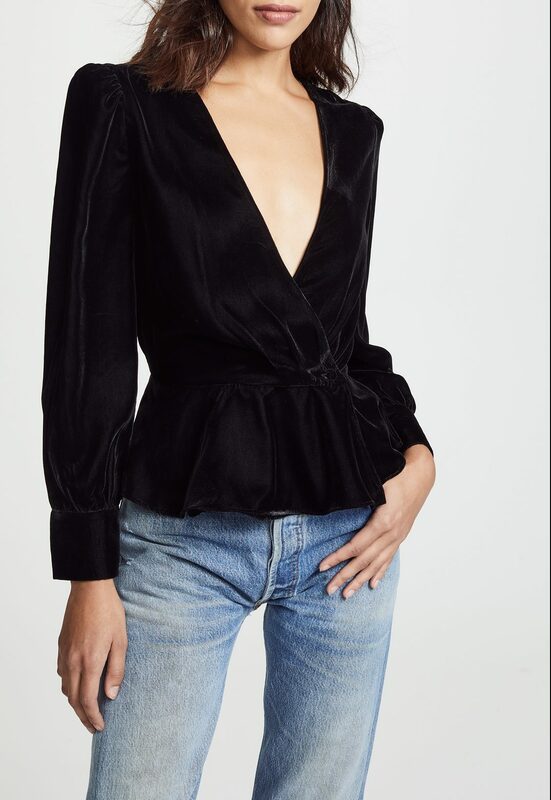 Hi, I liked this post a lot, but are there some less expensive party tops that you can suggest? Also, I wonder if other folks are still getting the over-sized emails like I am??? Thanks. I know, this turned into a kind of pricey post, apologies. There will be well-priced party tops to come, promise! The henley top is smashing! 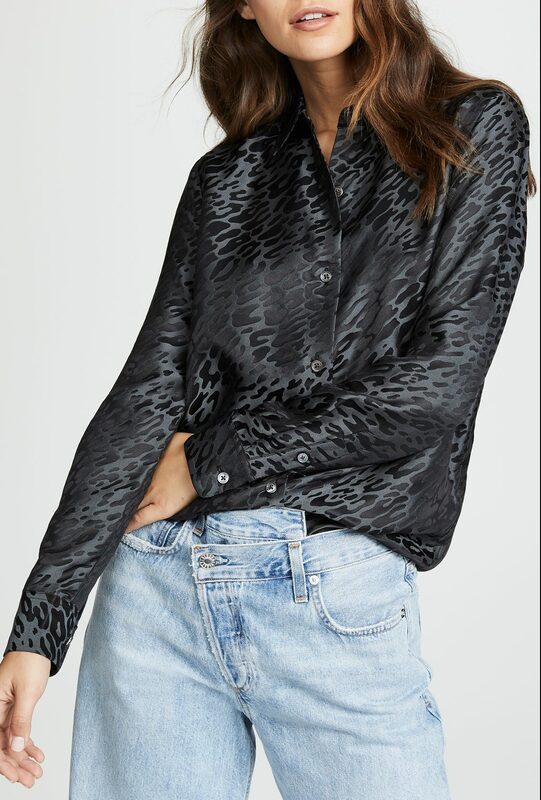 Also loving the Equipment leopard blouse. The Henley top is gorgeous. 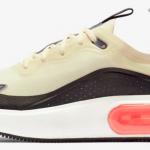 It’s 540 Australian dollars plus shipping for me. Unfortunately a bit out of my price range. The Henley top is gorgeous. 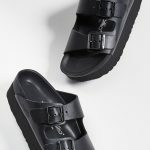 It's 540 Australian dollars plus shipping for me. Unfortunately a bit out of my price range.